Our range of products continues to be a great assistance to city councils in their ongoing efforts to reduce the problem of animal fouling in public areas. Our latest edition to the range is our Dog Poo Only rubbish bin. 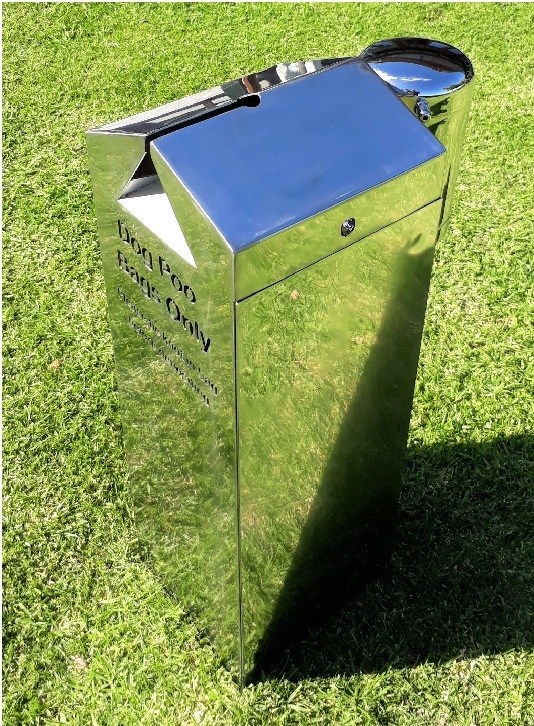 The three most common issues we hear about from Councils when dealing with dog bag dispensers are corrosion, vandalism and inappropriate bag use. 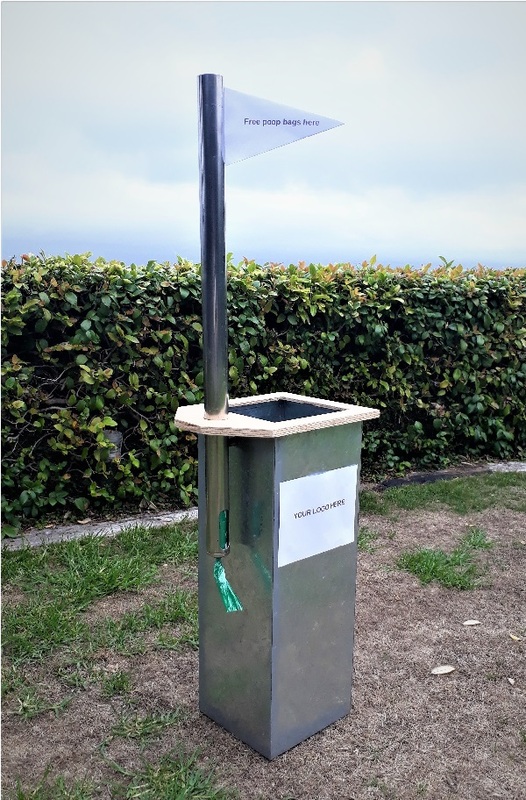 All our bag dispensers are manufactured in 316 stainless steel, so can be mounted directly adjacent to the sea. The 1.5mm stainless steel is very strong and therefore resistant to vandalism. The bags tear off one at a time, so they cannot be run out like streamers. The design and shape of our bags makes them suitable only for disposal of dog waste, which discourages people from taking them for other purposes. Many Councils switching to our units have reported their bag usage slashed. We include instructions on the side of our Poopod, to save on extra signage. The list of Councils adopting our dispensers and bag pouches is steadily growing. We deal with over forty local authorities and you can find ezepoles and Poopods in parks throughout New Zealand from Auckland to Invercargill. For more information on these products, please feel free to contact us directly. Our latest addition to the range is a portable dog bag dispenser and bin. Ideal for dog clubs and temporary events.